Michael Franti & Spearhead return with their US Top 20 album, ‘The Sound Of Sunshine’, on May 16th. Hailed by USA Today as full of “festival-friendly reggae-pop grooves and radiant, hope-filled songs” it’s the perfect album to herald the summer of 2011. ‘The Sound Of Sunshine’ is Michael Franti & Spearhead’s seventh studio album. Arguably the most cohesive, romantic and life-affirming album that Franti and Spearhead have ever made, it is the follow-up to 2008’s All Rebel Rockers. The album’s first single and title track, ‘The Sound of Sunshine’ is also released on May 16th, following its huge success in the US. ‘The Sound Of Sunshine’ was conceived after Franti was hospitalized for a ruptured appendix in August 2009. “Music is sunshine. It gives us new energy and a stronger sense of purpose. You can’t hold it in your hands, smell it, taste it or even see it, yet somehow just coming together and feeling these little vibrations that tickle our eardrums can somehow lift us all up out of our most difficult moments in life to unimaginable heights,” says Franti. The band began recording the album in Jamaica with legendary producers Sly and Robbie as well as in Franti’s home in Bali and hometown of San Francisco. With the record still not complete, Franti decided to bring a mobile studio on the road with him while he toured with John Mayer. The album was finished in dressing rooms and hotel rooms along the way with Franti playing songs he had recorded earlier in the day to the audience that evening. For over 20 years, Michael Franti has been producing powerful, deeply felt music. He first formed the punk band The Beatnigs while studying at the University of San Francisco, and later the far more hip hop-inflected The Disposable Heroes of Hiphoprisy. In the mid-‘90s, Franti created Spearhead, and increasingly in recent years, he’s found his own voice musically and his own organic brand of popular success. Franti’s impressive series of recordings have vividly reflected his status as a musical citizen of the world. 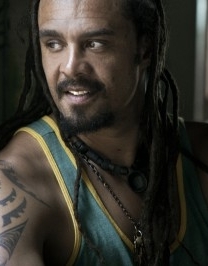 In addition to his distinguished musical career, Michael Franti is a well-known humanitarian, charity worker and yogi. He serves as an international CARE ambassador and, in December 2009, took a trip to East Timor and visited some of CARE's projects as well as met artists and musicians in the war torn country. Then in August 2010, Franti announced a partnership with Soles4Souls, the international shoe charity dedicated to providing free shoes to people in need around the world, providing footwear to those in need in 125 countries. In fact, Franti decided ten years ago to show solidarity with those less fortunate around the world by dedicating himself to highlighting the plight of the hundreds of millions of people too poor to own a pair of shoes. He has travelled the world barefoot ever since and on his current ‘The Sound Of Sunshine Tour’ will include a “Barefoot Concert Series” where fans can donate/sponsor shoes and learn more about the programs at Soles4Souls. In January of this year Franti opened Soulshine yoga retreat centre in Ubud, Bali, the arts and crafts center of Bali which was just featured in the film Eat Pray Love. The retreat centre is dedicated to bringing people together to practice yoga, meditation, art, music and dance. All these elements of Franti’s personality have gone into the vibrant, uplifting music of ‘The Sound Of Sunshine’. UK shows will be announced soon to support the album release and promise to be wonderful events. ‘The Sound Of Sunshine’ is released on EMI Records on May 16th.